‰ÛÏShe was incandescently beautiful and beauty was the least of her.‰Û | ‰ÛÏLove Her but leave her wild.‰Û Printed in white and black foil. 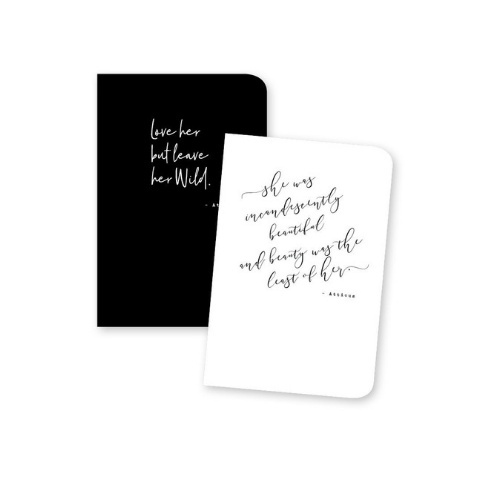 From Love Her Wild, An Atticus Collection by Page Stationery. White + black duo of mini saddle stitched notebooks for all your on-the-go note taking, poetry writing, and sketching. Set includes two journals, measuring 4 x 6 each, with 56 blank pages.